This season, much has been made of our inconsistency – both in terms of results and, more importantly, our performances. One thing that has remained consistent is the response an unsatisfactory performance brings from Pellegrini. As we meekly suffer defeat at Burnley, or produce a timid performance in the comfort of our own stadium against Everton, you can hear the sound bite from Pellegrini before he even walks in to give his post-match press conference. Time and time again, he has spoken of us playing our game whoever we meet, of reaching higher every game and showing ambition at all times. 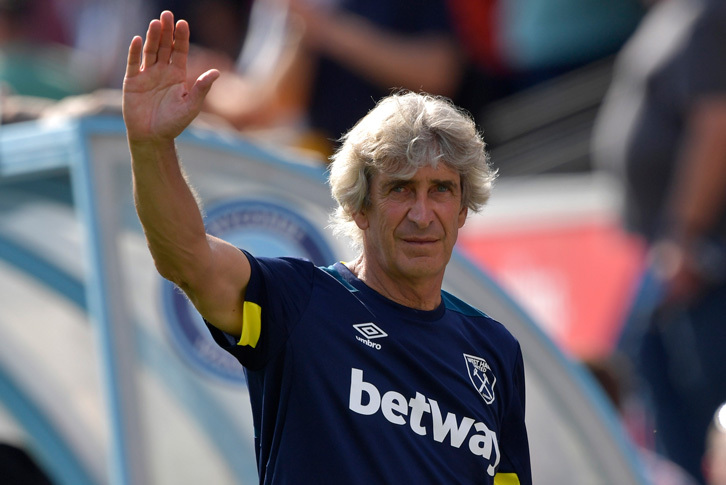 After the first couple of months of the season, it was clear that Pellegrini was aiming to change the mentality of the club. Many would argue that recent results and performances prove that he is failing to do this – however, you could also argue that it is a seismic shift of attitude which was never going to happen overnight. When Pellegrini talks about ambition and mentality, he isn’t solely referring to the players. The whole club has to change their attitude – from the owners down to the fans. In many ways, it is easiest for the owners to prove their ambition. The stadium move was driven by their ambition to be a bigger club, the large expenditure this summer was a sign of their belief that we can and will achieve more, their appointment of a manager with title-winning pedigree was a recognition of the steps needed to take us to the next level. For the fans and the players it is much harder and a significantly more gradual process. It is key to recognise the details of the mentality we’re aiming for. We are aiming to be a club who expects to impose our style of play on any team we meet – and expect that to consequently bring results. We are aiming to be a club who attracts high-end talent – because they want to be a part of something ambitious, not because they want to use us a shop window for bigger, better things. We are aiming to deliver a blend of entertainment and ruthless efficiency time and time again. This is significant, because in many ways it is so much harder than the mentality other Premier League clubs are seeking to implement. It is far easier to convince fans and players to have an ‘us-against-the-world’ approach, where your attitude is driven by the indignation of everybody else expecting you to fail. It is an easier task to believe that your backs are against the wall and positives are an unexpected bonus. Managers such as Rafa Benitez and Neil Warnock thrive on creating that siege mentality. West Ham are aspiring for more than that. We’ve been through those years, most recently with Allardyce and Moyes, and secured our Premier League status. Now we are pushing on beyond that and it’s a giant leap forward which won’t happen instantaneously. In this respect, the closest comparison we can make is to Everton. They are another team who have secured their Premier League status for years and are desperately trying to push themselves onto the semi-mythical ‘next level’. Like us, they are showing ambition in spending significant amounts of money on players who are that higher class of player – most recently including the likes of Sigurdsson, Richarlison and Pickford. They have unsuccessfully sought a move to a new, bigger stadium for years, and they have employed managers with the task of pursuing a winning mentality. Yet, they have also struggled to achieve the winning mentality which brings consistency. It hasn’t proved to be an easy task, and continues to elude them this season (as their victory over Arsenal followed immediately by defeat at Fulham highlights). Arguably, they have been on this path for longer than we have – huge investment and multiple managers have failed. Fans jokingly refer to the maddening inconsistency of our results as ‘The West Ham Way’. It’s the product of decades of the same pattern, which means that for some fans you are seeking to change the only way of West Ham life they have ever known. Put in those terms, how could anyone believe that it would happen in the space of one season? Of course, for the players it may not be the same. British players may know West Ham’s history but it’s entirely likely that some of our foreign imports won’t have any idea at all. But we are not a squad full of winners. For many players, certainly those who have been at West Ham for any length of time, believing they can win every single game is not a mentality they will ever have tried to adopt. In that respect, the value of experienced winners is huge. A player like Zabaleta will unconsciously encourage that belief, and consequently we can expect to see more players in that mould joining the club. Results breed belief – and one season of improved results was never going to be enough. If it were, the players from the final season at the Boleyn Ground would have continued their careers as world-beaters. So, the overriding message is to have patience. Recognise the colossal task Pellegrini and the rest of the club have in front of us and accept that it is going to take time. Trust Pellegrini and expect that it will come.